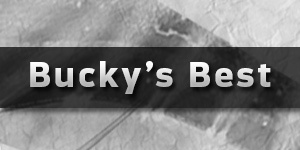 Published: July 30, 2015 at 05:53 p.m. Updated: July 31, 2015 at 10:22 a.m.
EDITOR'S NOTE: On Friday, one day after the publication of this piece, Russell Wilson and the Seattle Seahawks reached an agreement on a four-year, $87.6 million contract extension. In the wake of this mega deal, the sentiments expressed below remain as compelling as ever. It's time for the Seattle Seahawks to break the bank and pay Russell Wilson like a franchise quarterback. 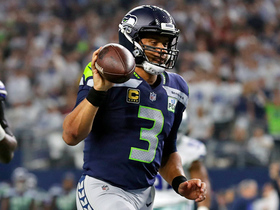 The team has been talking to Wilson's reps about a long-term deal, but as NFL Media Insider Ian Rapoport reported earlier this month, these negotiations have a deadline of Friday, when Wilson and his teammates are set to hit the field for training camp. 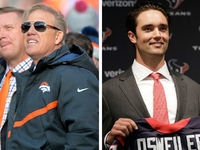 And as Rapoport reported Thursday, there's pessimism that the two sides will get a deal done within that time frame. This is unfortunate, because a long-term deal makes sense for all parties involved. I'm sure the Wilson skeptics will take me to task for emphatically stating that the fourth-year pro deserves to be paid like a top-five quarterback, but he is a spectacular playmaker with a stellar résumé that is unrivaled in NFL history. Wilson is the first quarterback to appear in two Super Bowls in his first three seasons. At the moment, Wilson holds the second-best career passer rating in NFL history (98.6, behind only Aaron Rodgers' absurd 106.0) among those with 1,000 or more pass attempts. 1) Wilson is a franchise quarterback. For all of the conversation regarding Wilson's game and potential, there is no disputing his value to the Seahawks. Wilson is a franchise quarterback, and he deserves to be paid handsomely. Granted, he has been supported by one of the most dominant defenses in NFL history and plays with arguably the top running back in the game. Still, Wilson has been largely responsible for pushing the Seahawks from good to great over the past three seasons. Since Wilson stepped into the starting lineup in 2012, the Seahawks have posted a 36-12 regular-season record, including an impressive 22-2 mark at home. Seattle has earned three straight playoff berths and made back-to-back Super Bowl appearances. 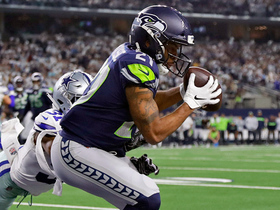 Considering Wilson came up 1 yard short of capturing a second straight Lombardi Trophy, the diminutive playmaker deserves to be considered one of the top players at the position -- and his compensation should match his production. Now, I know traditionalists have defined franchise quarterbacks as polished pocket passers capable of carrying the offense in conventional aerial attacks, but the NFL coaches I've been around (Marv Levy, Mike Holmgren, Marty Schottenheimer, Tom Coughlin, Jon Gruden and John Fox) have coveted QBs with "winning" characteristics (intelligence, leadership, grit, competitiveness and clutch factor) and impressive résumés -- as opposed to gaudy, fantasy-friendly passing numbers. Yes, it is important for the franchise quarterback to show he can move the team on the strength of his arm, but there is something to be said for a guy who understands how to simply lead his team to the winner's circle. Franchise quarterbacks should be judged on their ability to win games, and that's all Wilson has done in Seattle. Remember, this was a sub-.500 team (14-18 regular-season record) in the first two years of coach Pete Carroll's tenure, when Matt Hasselbeck, Tarvaris Jackson and Charlie Whitehurst were under center. All three guys began their careers as role players on squads that were fueled by championship-caliber defenses and hard-hitting running games. Suddenly, Wilson's numbers look pretty darn good. Looking for indicators of Wilson's potential as a primary playmaker, I found it interesting that the fourth-year pro has already engineered 15 game-winning drives and 10 fourth-quarter comebacks during his brief career. 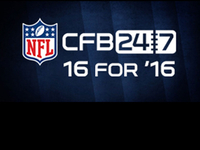 Those numbers are supported by countless examples of Wilson making critical plays for the Seahawks in big moments. Given Wilson's poor play for most of the game, the fact that he had the wherewithal to identify the blitz and make an accurate throw is a testament to his preparation, resiliency and poise. When examining quarterbacks, particularly franchise quarterbacks, it's important to see them make big plays in big spots to justify their status as elite talents. Wilson has won at a level that validates his status as a winner -- and players within the Seahawks' locker room certainly know he can deliver when the game hangs in the balance. 2) Wilson's unique playing style makes him nearly impossible to defend. The most difficult quarterbacks to defend are mobile playmakers who can produce explosive gains inside or outside of the pocket. Athletic signal callers cause problems on the edges with their speed, quickness and running skills. They allow offensive coordinators to incorporate a variety of movement-based passing concepts (naked bootlegs and waggle passes) into the game plan, to alter the launch point for the quarterback and change the pressure dynamics for the defense. Additionally, mobile passers have the potential to extend plays with their legs and terrorize opponents with impromptu scrambles or late-reaction plays on the perimeter. With more play designers adding elements of the zone-read and QB running game to the mix, the presence of a dynamic dual-threat in the pocket creates headaches for defensive coaches around the NFL. Carroll certainly understands the challenge, based on his experience as a defensive coordinator; he frequently cites Wilson's mobility and versatility as some of his greatest assets on the field. The Seahawks maximize his skills as a dynamic playmaker by utilizing a variety of concepts that put him on the perimeter with the ball in his hands. The team's passing game features a number of play-action schemes with Wilson rolling to (or away from) the action, leaving defenders uncertain about his launch point on passing plays. Additionally, the constant movement and deception diverts defenders' eyes from their assignments, leading to big plays down the field. These are the kinds of scripted plays that make Wilson tough to defend on the perimeter, but the ability to extend (or make) plays with his legs is what makes him a defensive coordinator's nightmare. 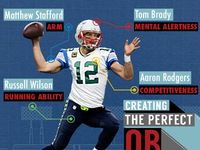 Wilson is one of the few athletic quarterbacks with the discipline to keep his eyes down the field when he runs. 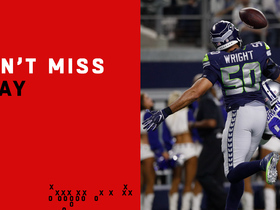 While he did rush for 849 yards last season, Wilson actually scrambles with the intent of making plays in the passing game, creating a huge dilemma for defenders in pursuit. If they run up to corral Wilson, they run the risk of leaving a receiver open downfield. However, Wilson is so explosive on the perimeter that defenses need every defender on the field to fly to the ball and contain the diminutive playmaker. Thus, the defense is in a constant state of flux when Wilson has the ball in his hands. The Seahawks certainly count on Wilson's improvisational skills to get the offense out of jams when protection breaks down or the defense makes the proper call. The coaching staff also puts the young playmaker in a position to win one-on-one matchups on the perimeter, particularly on third down or in the red zone. The Seahawks routinely put Wilson on the move on designed quarterback runs from the shotgun (zone-read) and under center (bootlegs/naked passes) to take advantage of his running skills and improvisational ability. Given the dynamic skills that Wilson brings to the table, defensive coordinators will continue to have problems containing the young playmaker with an upgraded receiving corps that now features a prolific touchdown maker in Jimmy Graham. 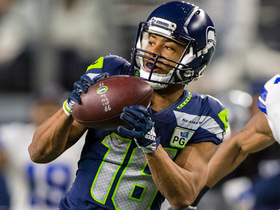 3) Seattle can pay Wilson big bucks and still retain the core of the team. Whenever a quarterback inks a big-money deal, the team has to figure out how to redistribute the money to retain the supporting cast needed to make a championship run. 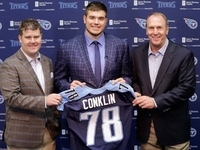 In Seattle, general manager John Schneider has already taken care of many of the Seahawks' core players while Wilson has been playing on his cheap rookie deal. The Seahawks have re-signed Earl Thomas, Richard Sherman, Michael Bennett, Kam Chancellor, Doug Baldwin and Lynch, among others. Although some members of that core group are campaigning for more money (see: Chancellor), the Seahawks have the nucleus in place to remain title contenders for the next few years. Granted, the Seahawks will need to find a way to keep Bobby Wagner and possibly Russell Okung, but the team has been proactive about getting deals done. 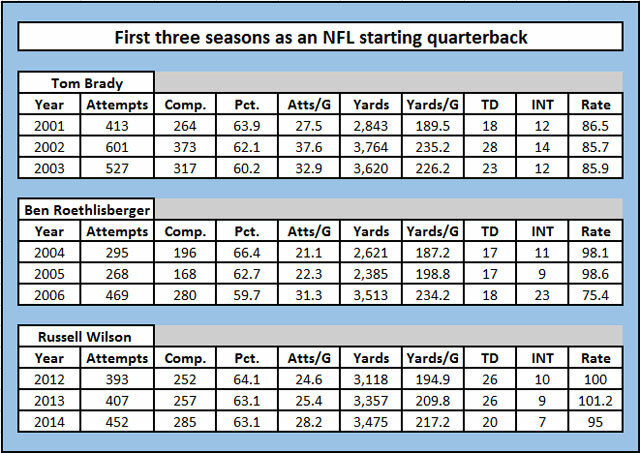 From a compensation standpoint, Wilson certainly deserves a mega contract that is in line with the elite players at the position, based on his spectacular success as a young QB. He is certainly deserving of a deal similar to the $100 million pacts recently signed by Ben Roethlisberger and Cam Newton. In addition, Wilson's deal should surpass the annual averages of Joe Flacco and Matt Ryan, based on his play. While some will take Wilson's plea to surpass Aaron Rodgers as ludicrous, the fact that the salary cap is expected to rise pretty significantly over the next few seasons makes it a reasonable request in this negotiation.